The Olive Kettering Library, located at Antioch College, houses more than 325,000 volumes, 900 periodical titles, and 4,000 phonograph records. Antiochiana, the College's archive, holds the papers of Antioch Presidents Horace Mann and Arthur Morgan, as well as a wide range of historic records. The library is also home to The Antioch Review, one of the oldest continuously published literary magazines in the United States. The McGregor Library houses over 17,000 items, in large part due to generous donations from students, faculty, staff, Antioch University Board members and others. In addition to the circulating collection, McGregor holds several special collections: Paul Smoker/Kenneth Boulding Peace Studies Collections, the John Gardner Collection, the Arthur E. Morgan Collection, and the Don Wallis Memorial Collection. The library actively engages students to become socially aware lifelong learners who critically evaluate information to make a difference in the world around them. Founded in 1829 as a Roman Catholic seminary, today the Athenaeum of Ohio continues its mission to prepare men for the priesthood and diaconate and also seeks to form lay men and women to faithfully follow Christ and serve His mission. The Eugene H. Maly Memorial Library supports the Athenaeum’s five graduate degree programs: Master of Divinity; Master of Arts in Pastoral Ministry, Theology, Biblical Studies, and Catholic Studies. The collection includes over 120,000 books, periodicals, and audiovisuals and online resources primarily in the areas of theology, philosophy, humanities, arts, and social sciences. Maly Library houses a Special Collection of over 10,000 rare books including several dozen manuscripts and incunabula. Established in 1845 by John Baldwin, the college was one of the first in the nation to admit students without regard to race or gender. Three campus libraries provide services and information resources to students, faculty, staff, and alumni. Ritter, the main library, holds the bulk of the collection; the Jones Music Library, located in the Conservatory of Music, offers over 40,000 books, musical scores, and recordings, while The Riemenschneider Bach Institute also located in the Conservatory, contains rare items by J.S. Bach and a general music collection. Founded in 1899, Bluffton University, affiliated with Mennonite Church USA, is shaped by the historic peace church tradition. Committed to Bluffton’s core values – discovery, community, respect and service – Musselman Library provides resources and services to students, faculty, staff, alumni, and the community. The collections focuses particularly on themes of social justice and peace and include the resources of The Lion and Lamb Peace Arts Center. The library is home to the Archives and Special Collections, notably the Mennonite Historical Collections. Celebrating community, the library collaborates with other campus units as library partners and hosts a range of campus events. Columbus College of Art & Design’s Packard Library houses a collection uniquely suited to studio artists and designers. The collection includes over 55,000 print volumes, 275 periodical titles, numerous electronic resources; the special collections include a Materials Library, rare books, artists’ books and the archives. The Packard Library staff is committed to lifelong learning, fostering collaboration, and sparking inspiration among the CCAD community. The Pilgrim Library, at Defiance College, facilitates both teaching and learning through an atmosphere conducive to research and study. The building houses the college’s student academic support services, writing studio, DC Testing Center, and the McMaster School for Advancing Humanity. Among its special collections, the Pilgrim Library boasts the Hench Autism collection, which supports the college’s minor in autism studies and provides valuable resources for those working in the ASD Affinity program; the Herman Wiebe courthouse paintings; the Schauffler College archives; and a modest assemblage of works by and about President Dwight D. Eisenhower. Founded in 1946 by Franciscan Friars of the Third Order Regular, Franciscan University of Steubenville integrates strong academic programs with a lively faith environment. The St. John Paul II Library, built in 1987, supports the University’s mission to educate, to evangelize, and to send forth joyful disciples. It offers on campus students access to print books, ebooks and databases. The library and its staff support a growing online presence and provide resources to students in the Austria study abroad program. The library features a Franciscan collection, the St. John Paul II Collection, and university archives. Duns Scotus Library, dedicated in 1950, is named for the 13th century Franciscan philosopher John Duns Scotus. The library houses a collection of over 55,000 volumes, electronic resources, audiovisual items, a collection of rare books, and a special room housing Franciscana materials. A distinctive feature is its collect of 350 art works that are fully cataloged and displayed throughout the building. The Mercy College of Ohio Library provides materials and services that support the informational needs of students, faculty, staff, and alumni. Emphasis is placed on information literacy, lifelong learning, and collaboration with faculty to further academic success. Mercy is a Catholic institution that primarily grants healthcare degrees and certificates; and the small collection reflects that narrow focus. Afternoon tea is served daily as a symbol of comfort, unity, and to foster relationships – a tradition established by the Sisters of Mercy, who began their ministry in Toledo in 1918. The John W. Dickhaut Library, named for MTSO’s founding president, is the school’s primary information and research center. Opened in 1960, the library holds more than 130,000 volumes onsite that support five graduate degree programs: Doctor of Ministry, Master of Divinity, Master of Arts in Counseling Ministries, Master of Arts in Practical Theology, and Master of Theological Studies. MTSO stands committed to individual wholeness, social justice, inclusiveness, and religious diversity. The Mount Carmel Health Sciences Library’s (MCHSL) mission connects the Mount Carmel Health System academic and professional communities with personalized information services and resources. Located on the third and fourth floors of the Center for Learning and Education, MCHSL is the primary information resource center for students and faculty of the Mount Carmel College of Nursing (MCCN). The Library also provides services to Mount Carmel Health System customer needs at all six Columbus operating sites, as well as the MCCN online programs and satellite location at Fairfield Medical Center in Lancaster. The Roberta A. Smith University Library was generously dedicated in 2015 in tribute to Smith's mother, Margaret, a 1909 alumna. The 40,000-square-foot facility is accessed through a main entrance atrium leading to a spacious and light-filled Commons area. A two-story, 1500-square-foot, glass-walled Colloquium Center incorporates a projection wall and a fireplace. The Grand Staircase connects the building's levels and provides small gathering spaces throughout its wide landings. The library houses Special Collections which includes the United States Presidents Collection. Library information hubs, reading rooms, classrooms and Collaboration Stations are featured throughout. The building is shared with the Education Department. Highlighted as one of the strongest assets of the Pontifical College Josephinum, the A. T. Wehrle Memorial Library supports the formation program of the seminary’s College of Liberal Arts and graduate School of Theology. As a pontifical institution, the Josephinum’s special relationship with the papacy and the universal Church is reflected in its collection of primary sources of the Roman Catholic tradition as well as the scholarly literature of the major theological and philosophical disciplines. The library also develops collections in the major faith traditions, the arts, humanities, sciences, and social sciences providing the community with resources to understand and engage contemporary culture. Tiffin University’s Pfeiffer Library serves a diverse body of seated and online students, both nationwide and abroad, in graduate, undergraduate, and degree completion programs. The library provides access to a print collection of more than 40,000 volumes and millions of electronic resources online. The campus library holds the university archives and provides study spaces that encourage individual and group work. Librarians actively engage in curriculum development and support, information literacy instruction, and outreach to students and faculty at all levels of the university. Shafer Library supports the learning, teaching, and research of students, faculty, and alumni of The University of Findlay and Winebrenner Theological Seminary. The main collection, University Archives, and Knowledge Bar for technical and research assistance are located in the main library building. The Teacher Resource Center houses the children’s book collection and curriculum materials resources for pre-service teachers. Mazza Museum’s Havens Resource Center holds a collection of books by the illustrators represented in the museum’s art collection. Shafer is a selective US Federal and Ohio publications depository and provides public access to government information to the local community. The Ralph M Besse Library at Ursuline College is known for its welcoming atmosphere and personalized service to students, faculty, alumni, and the Ursuline Sisters of Cleveland. The collection comprises more than 200,000 volumes including books, periodicals, audio visual materials, and electronic books and videos. Technology enabled study and classroom facilities in the library feature SMART boards, video conferencing capabilities, and white-noise machines. The library houses a collection of thousands of stamps from all over the world, curated by a team of dedicated volunteers. The library opened in 1985 and is named for benefactor Ralph Moore Besse, a trustee and cherished friend of Ursuline College for almost three decades. The University of Mount Union was established in 1846 as a teacher’s college affiliated with the United Methodist church. The University of Mount Union Library occupies over 65,000 square feet in three buildings making up the Kolenbrander Harter Information Center. The Library combines a 195,000-volume book collection with 380,000 e-books; 50,000 e-journal titles; over 240 databases; reference and circulation services; a Curriculum Resource Center; the DWOC Studio supporting writing and oral communication; a collaborative learning commons space open for 24 hours; IT help services; and a café. The Sturgeon Music Library, a subject branch, is located in Cope Music Hall. The Brother Edmond Drouin Library located in North Canton, Ohio embodies the enduring mission of Walsh University: the creation of leaders through service to others. The library serves students and faculty on campuses across three continents through classroom and individual instruction, a personal librarian program, collaborative outreach activities, and access to millions of electronic resources. The library provides access to a print and media collection of over 376,000 volumes (including 242,712 e-books), specialized juvenile, curriculum and graphic novel collections, study and collaboration spaces, design stations, and houses the university archives. A growing digital repository preserves oral histories, photojournalism exhibits and materials related to our founders, the Brothers of Christian Instruction. The Sheppard A. Watson Library serves Wilmington College, a private, career-oriented, liberal arts institution established by Quakers in 1870. With its mission to educate, inspire and prepare each student for a life of service and success,Wilmington College is known for its hands-on learning opportunities, as exemplified in its distinct Agricultural Science program (one of only two in Ohio) and nationally renowned Athletic Training program. By offering academic programs, practical experience and co-curricular activities in a variety of settings to students from diverse backgrounds, the College leads students to gain an awareness of the world, to acquire knowledge of career and vocation, and to seek truth and social justice.  About OPAL The Ohio Private Academic Libraries consortium is a group of 23 academic libraries that work together to develop and provide collections and services that meet the evolving needs of its users through financially responsible collaboration and innovation.